There are approximately 18 million pigeons in the UK alone and they typically cause most issues in inner-city areas where they can congregate in large numbers. However, they can also nest in domestic properties causing damage, blocking chimneys and guttering. Pigeons are also a health hazard. 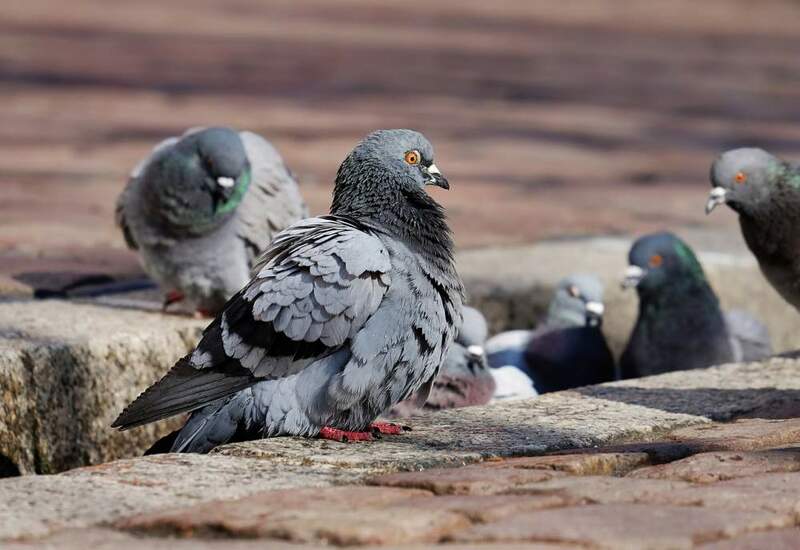 There dropping are known to contain unpleasant bacteria, and Pigeons themselves carry several nasty diseases including Chiamdiosis, which produces flu-like symptoms and Psittacosis which is much like pneumonia. Pigeon control is much the same as other types of bird control. The aim is to deter the birds and make the areas that they have been inhabiting undesirable. Bird spikes, netting and wire systems all work well as does the use of birds of prey. Pigeon proofing is always a difficult task as feral pigeons are happy to set up nests almost anywhere they feel safe from predators. They will congregate in built-up areas as this environment resembles the rocky cliffs and ledges that would have been inhabited by their ancestors. Dealing with unwanted pigeons can be quick, effective and discreet with the right tools and knowledge. Our pigeon proofing solutions offer almost immediate results as we make the area they have settled undesirable. All our pigeon deterrents and proofing solutions are installed to the highest standards by qualified technicians. Before any work is undertaken we complete a full risk assessment that ensures all work is completed safely. If you’re experiencing problems with unwanted pigeons in your domestic or commercial property, then we are here to help. Please get in touch, and we will be happy to carry out a free of charge inspection and recommend a course of treatment.